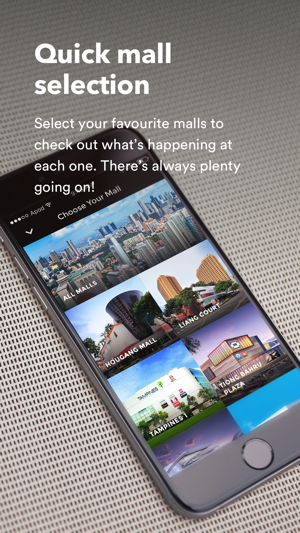 Amplify your in-mall experience with the new AMperkz mobile app from AsiaMalls! With the ability to personalise your app you can receive exclusive insider tips, check carpark lots availability, make dining reservations, earn AMperkz points and redeem your AMperkz points to E-Vouchers. Learn more about our latest promotions and events with our personalised app feature. You can now share your interests with us to get shopping and dining recommendations. With quick access widgets on your app homepage, you can quickly view the information you need most in just one tap. You are able to pick up to 4 out of 8 widgets available. 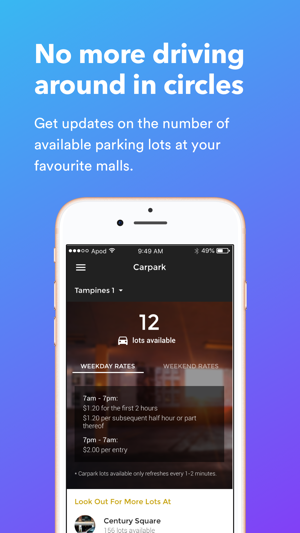 Get real-time* updates of our carpark lots availability before you drop by the mall so that you can better plan your journey and get on with your day. Gain access to exclusive tips and articles on featured retailers and learn about deals and discounts before anybody else! Also, you’ll get an inside track on taking full advantage of the great benefits of our retailers, services and events. Earned tonnes of AMperkz points shopping at our malls? You can now convert your AMperkz points into E-Vouchers. Much like shopping vouchers, you use them for purchases at your favourite retailers*. 1. Shop at any AsiaMalls' malls. 2. Snap a photo of your receipts (min. $20 spend). 3. Submit the photo through the AMperkz app. 4. 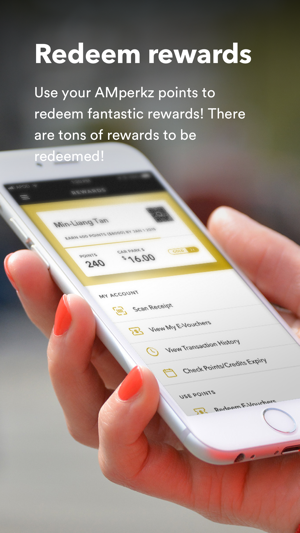 Earn points with each dollar you spend. 5. Receive notification updates on your receipt submissions. Unfortunately, we are not able to answer reviews or feedbacks here in the AppStore. If you need help or have any suggestions for us, do email us at contact@amperkz.com.sg. We'd love to hear from you! With effect from today, AMperkz will cease the collection and the use of NRIC numbers for identification purposes. Update your app now! 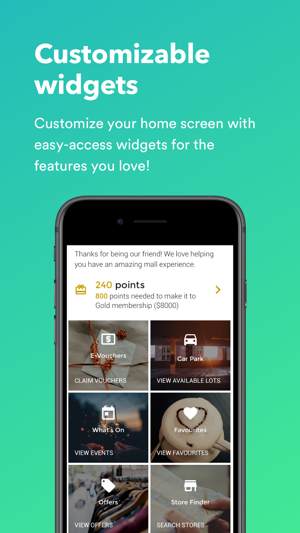 • Submit your receipts and get rewarded with AMperkz points faster! • Convert your AMperkz points to carpark$ at all AsiaMalls malls except Liang Court. Continuous UI/UX fixes and performance improvements to enhance your AMperkz experience! Nothing much to redeem from stores compare to Capitastar app, can't really see any promo or offer from this app...Even if I spend like $300 and get 300 points, the only thing that I can redeem is a $5 mall voucher which need 1000 point to redeem, which is not worth it to me..Too many options to choose from in the app and too many t&c & text when choosing one of the offer.. Seem like there is no relation between the malls & this app...definitely need an entire app make over!